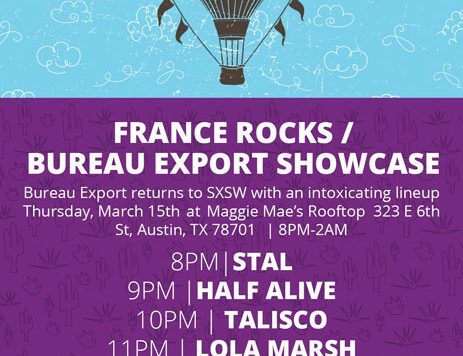 France Rocks and Bureau Export have curated a special evening of cutting edge talent. 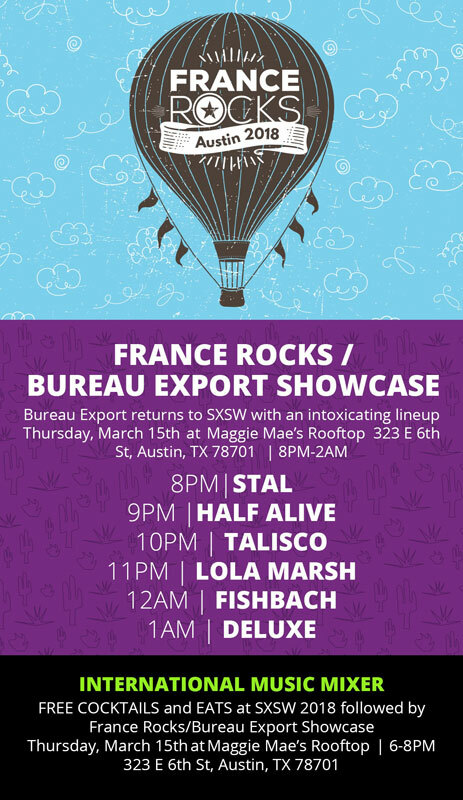 NYC- Supporting French music in the US for over 20 years, Bureau Export returns to SXSW with an intoxicating lineup featuring several household names in France ready to break through to American audiences. In the past, France Rocks has hosted many acts going on to great international visibility, including Stromae, Yelle, Ibeyi, La Femme, Yan Wagner, Revolver, Hindi Zahra, Christine and the Queens and many more. Before the showcase, there’s an International Music Mixer from 6PM- 8PM.